PRICE: I've seen it priced from $44 to $69.00 "SRP" from various retailers, each offering a discounted price. 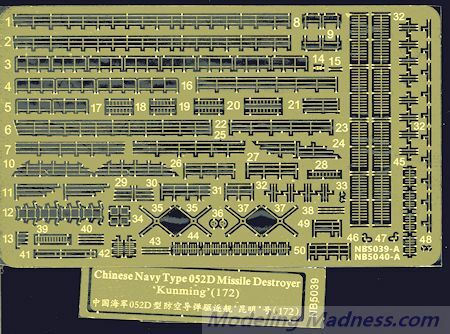 The Type 052D destroyer (NATO code name Luyang III class, or Kunming class after the lead ship) is a class of guided missile destroyers being deployed by the Chinese People's Liberation Army Navy. After the Type 052C destroyer (NATO code name Luyang II class, or Lanzhou class after the lead ship), two new hulls were spotted under construction at Changxingdao-Jiangnan Shipyard (JNCX) in August 2012. According to the picture, they were armed with a new 130mm main gun and new Active Electronically Scanned Array (AESA) radar system. Altogether seven vessels of this class are now fitting out or under construction, with a further four on order or planned and one vessel on sea trial. The Kunming entered service in March of 2014 and is now on active duty with the South Seas Fleet. It is interesting to see this kit being done, but since it is of the newest ship of the PLAN, it is not all that surprising. Though a smallish ship as things go, the kit measures over 18 inches in length so it will take up a goodly amount of shelf space. 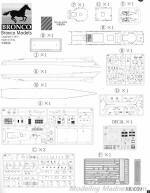 The kit is very nicely done and includes an excellent photo etch suite th at includes all the railings as well as the complex radar antenna array amidships. A brass plaque is also included for the stand. The kit can only be built as a full hull model, though the adventurous will undoubtedly break out the cutting disc and saw away at the lower section. The hull itself is in two halves, but there is a braced horizontal bulkhead that runs the full length of the hull ensuring it does not flex during construction. Inside the kit box is another box that contains the upper deck superstructure. There are several smaller deck sections on which to put this part and others. The VLS system has the option of having some of the doors open to show the missiles inside. A clear plastic helicopter is provided and it will take some of the photo etch bits. Optional open or folded blad es are provided as well. You can also have the helo bay/boat bay doors open or closed. I should mention that all of the p.e. railings are individually sized and numbered as so to go onto a specific location on the ship so no need to measure and cut. A stand will supports is included for display. Instructions are very well done with areas in color to help determine some of the optional bits as well as which parts are photo etch. A full color painting guide is provided that offers FS 595 and generic color names. 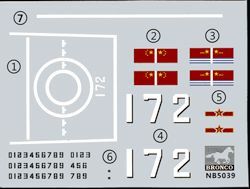 The small decal sheet includes flags and deck markings as well as insignia for the helo. 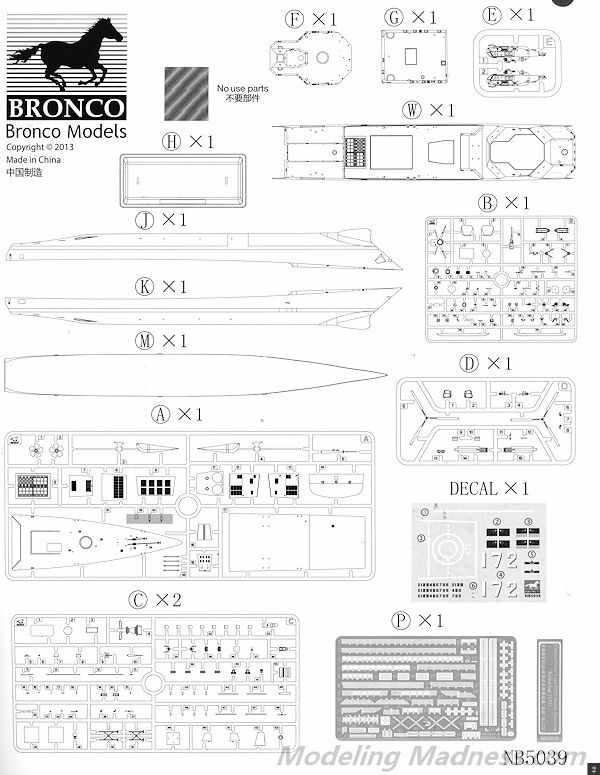 If you are a builder of modern ships in 1/350, this is one you really should have in your collection. It is as new as today's news and looks like it will make into a very nice model. Thanks to www.dragonmodelsusa.com for the preview kit. Get yours today at your local hobby shop or on-line retailer.